The initiative to found Asian Society of Veterinary Ophthalmology (AiSVO) was taken on the occasion of the ACVO Conference in San Antonio in 2006 (Oct 31 ~Nov 4, 2006). At this Conference, Drs Akihiko Saito (Japan), Chung-Tien Lin (Taiwan), Michael Chang (Taiwan-USA) and Kangmoon Seo (Korea) discussed how to make the Asian Society in the field of Veterinary Ophthalmology. After that, several preparative meetings were held in Rakuno Gakuen University (July 2008), ACVO Conference in Boston (Oct 2008), AMAMS meeting in Taipei (Dec 2009), JSCVO Conference in Osaka (Aug 2010) and Conference in Seoul (Nov 2010). 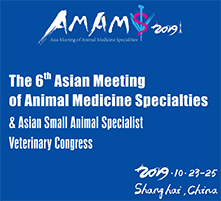 In 2011, the external credential committee from the Diplomates or committee members of the American College of Veterinary Ophthalmologists (ACVO) of European College of Veterinary Ophthalmologists was established to select leading veterinary ophthalmologists in Asia as the Founder Diplomates of the Asian College of Veterinary Ophthalmologists (AiCVO). In March 2011, Dr Ron Ofri made “External” Credential Committee (CC) to review and select the Founder Diplomats of the Asian College of Veterinary Ophthalmologists (AiCVO). 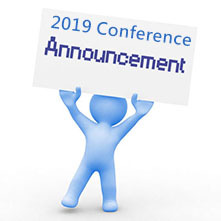 The members of external credential committee included Drs Ron Ofri (Chairman, ECVO, Hebrew University), Frans Stades (ECVO, University of Utrecht), Babara Nell (ECVO, University of Vienna), David Maggs (ACVO, University of Callifornia, Davis), and Michael Davidson (ACVO, North Carolina State University). The external CC reviewed all applications from Asian countries and nominated 5 founder Diplomates of AiCVO in August 2011 including Drs Akihiko Saito (Japan), Kangmoon Seo (Korea), Chung-Tien Lin (Taiwan), Nobuyuki Kanemaki (Japan), Kumiko Kato (Japan) following reviewing all applications. At the same time, Drs Kudo Soroku (Japan) and Tadao Kotani (Japan) were invited as an Honorary Diplomates. By October of the same year Professor Kangmoon Seo had drafted the constitution and bylaws of the AiSVO and he made the symbolic logo of AiSVO. The 1st official AiSVO annual meeting was held with ISVO and WSAVA annual Conference in Jeju ICC, Korea on October 13, 2011. The keynote speakers of the 1st annual meeting were Drs Peter Bedford, Ron Ofri and Akihiko Saito. Dr Seo was nominated as the first term President of AiSVO and AiCVO, and Professor Chung-Tien Lin was the Vice-President. The 2nd AiSVO annual meeting was held with JSCVO meeting in Nagoya Congress Center, Japan on July 20, 2012. In this year, the following individuals were selected by credential committee of AiSVO as de facto diplomates of the AiCVO: Drs Takashi Hasegawa (Japan), Tasavarin Kanchanachaya (Thailand), Seiya Maehara (Japan) and Naoaki Takiyama (Japan). The 3rd AiSVO annual meeting was held with Annual Meeting of Animal Specialty (AMAMS) in Bogor on December 13~15, 2013. From this meeting, wet-lab course were started in addition to lectures. The keynote speaker was Dr Thomas Sullivan (ACVO, USA). In this year, Drs Manbok Jeong (Korea), Dong Beum Ji (Korea), Kazutaka Kanai (Japan), Yukako Kobayashi (Japan) and Sukjong Yoo (Korea) were selected by credential committee of AiSVO as de facto diplomates of the AiCVO. Dr Seo was nominated as the second term President of AiSVO and AiCVO, and Professor Chung-Tien Lin was the Vice-President. The 4th AiSVO annual meeting was held in Taipei, Taiwan, hosted by Taiwan Society of Veterinary Ophthalmology and Professor Chung-Tien Lin, on Aug 30~Sep 1, 2014. Invited speakers were Dr Michael Chang (ACVO) and Dr Ron Ofri (ECVO). In this meeting, practical hands-on courses in advanced ophthalmology examination were offered. In this year, Dr Joon Young Kim and Dr Nalinee Tuntivanich were selected by credential committee of AiSVO as de facto diplomates of the AiCVO. The 5th AiSVO annual meeting was held joint with AMAMS annual meeting in Kuala Lumpur, Malaysia, 31 Oct~2 November, 2015. In this meeting, wetlab courses of corneal surgery and cataract surgery were offered. In this year, Dr Joon Young Kim and Dr Nalinee Tuntivanich were selected by credential committee of AiSVO as de facto diplomates of the AiCVO. In the board meeting of the annual meeting, Professor Chung-Tien Lin was elected as the President of AiSVO and AiCVO next term. The Vice President was Dr Kumiko Kato. Members of eight AiSVO Committees were nominated and established from the Diplomates of AiCVO. The 6th AiSVO annual meeting was held joint with 9th VRVC Congress in Bangkok, 25~26 July 2016. In this meeting, wetlab courses of corneal surgery and cataract surgery were offered. The invited speaker was Dr Marta Leiva. The first year of AiCVO Diplomate examination was started and held for 3 days by the examination committee of AiSVO in Bangkok with the advice by the chair of examination committee of ECVO, DR Marta Leiva. Two examination candidates registered with the AiCVO diplomate examination. The official journal of the AiSVO and AiCVO is Veterinary Ophthalmology from this year. The 7th AiSVO annual meeting was held joint with AMAMS annual meeting in Daegu, Korea, 11-12 November, 2017. In this meeting, wetlab courses of corneal surgery and cataract surgery were offered. In the board meeting this year, Professor Chung-Tien Lin was elected as the President of AiSVO and AiCVO for the next term. The Vice President was Dr Kumiko Kato. Members of eight AiSVO Committees were working in the AiSVO. The second year of AiCVO Diplomate examination was held for 3 days by the examination committee of AiSVO in Seoul National University with the advice by the past chair of examination committee of ACVO, Professor Michael Davidson. Four examination candidates registered with the AiCVO diplomate examination. AiCVO Residency training program was proposed by the Residency Education Committee (RED). Dr Kobayashi of the Hereditary Eye Disease (HED) committee proposed the eye examination scheme for inherited eye diseases for Asian countries. Dr Yoo of the Re-Evaluation Committee announced the result of re-evaluation for 5 founder diplomats. The AiSVO and AiCVO joine as group member of the International Society of Veterinary Ophthalmology (ISVO) is from this year.